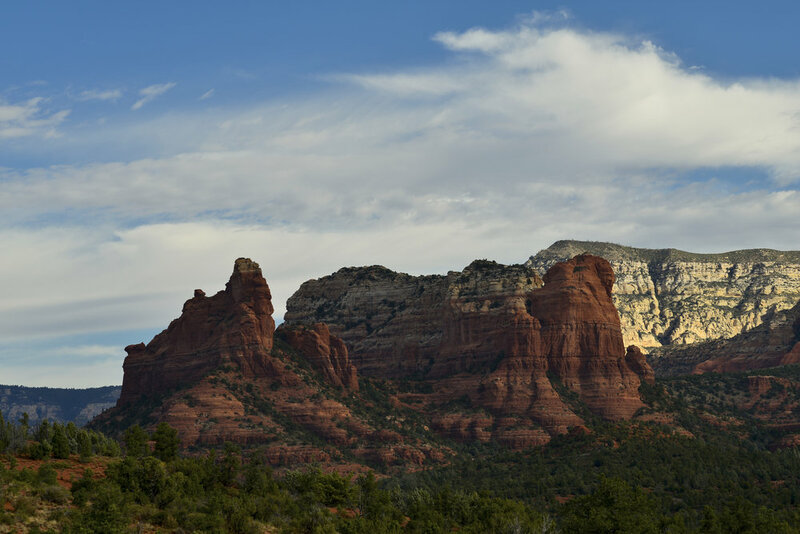 Sedona has long been a favorite place for my wife and I to visit. During the most rescent excursion, during this past October, I was able to convince Heidi to get up very early and join me at one of the lookout points on Schnebly Hill Road. It was the only morning there was any significant cloud cover, so I was very happy to be shooting. This is a little while after sunrise. You can see the mountain in the back is fully illuminated on the right side (the Sun is behind my right shoulder) and the closer Red Rock edifice is still in shadow. I felt it made for a nice composition and explored the nuance of the early morning Sun.